The Tough TG-810 lives up to its name, being built like a tank, and performs well for everyday shooting. But it's clunky navigation, somewhat slow shutter response, and middling image quality in low light don't make it good fit if you don't absolutely need the extra ruggedness of the TG-810's body armor. Read more in our Full Conclusion. 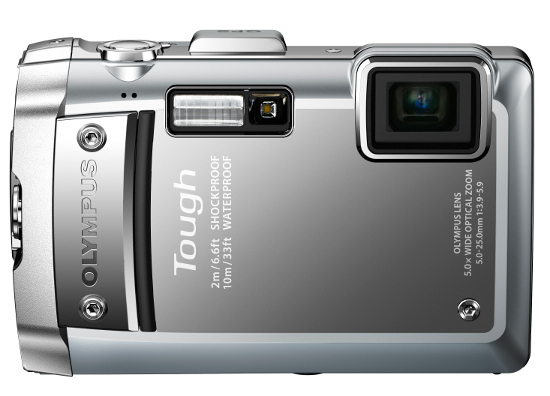 Olympus continues to add powerful "Lifeproof" cameras to their Tough line, with the TG-810 being one of latest additions in 2011. Like past models, the TG-810 is packed with their Tough features (Waterproof, Freezeproof, Shockproof, Dustproof, and Crushproof), making it an obvious choice for active users who like to explore the great outdoors. The TG-810 boasts 14-megapixels of resolution, a 5x optical zoom lens, 3.0-inch LCD screen, and 720p HD video capture. They've also added their new 3D photo mode and built-in GPS system with Electric Compass and Manometer. The TG-810 is available now with an estimated street price of $399.99 US. Check our buy box below for the most current online pricing.